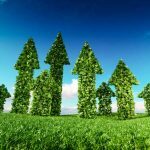 As part of its Living Standard initiative, the U.S. Green Building Council (USGBC) released a new report titled “Standard Issue” to better gauge how the public feels about issues at the core of the green building community’s mission: sustainability and the environment. 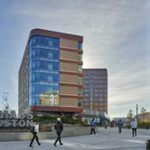 The University of Massachusetts Boston (UMB) Dining and Residence Hall project has achieved Leadership in Energy and Environmental Design (LEED) Gold certification from the U.S. Green Building Council (USGBC). 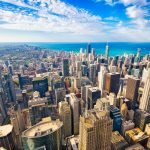 Illinois topped the U.S. Green Building Council’s (USGBC’s) annual list of Top 10 States for Leadership in Energy and Environmental Design (LEED). The U.S. Green Building Council’s (USGBC’s) newest version of the Leadership in Energy and Environmental Design (LEED) green building program, LEED v4.1, is open for registration for new construction projects as well as interior spaces with LEED v4.1 BD+C and LEED v4.1 ID+C. The University of Illinois at Urbana-Champaign and Delta College in Michigan, are the recipients of the 2018 Climate Leadership Awards. Hacking has become a far bigger threat than most think. Indeed, the greatest risk to national security comes from not from aircraft carriers or infantry divisions, but a computer with a simple Internet connection located anywhere in the world. 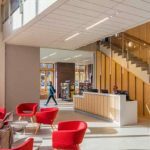 Selecting entrance systems for use in commercial and institutional buildings involves balancing multiple factors, including location, function, and appearance, along with the occupants’ frequency of use, the facility manager’s maintenance program, and the project’s budget and schedule. When discussing how to secure the openings of a building, physical security commands the lion’s share of attention, with concerns about unauthorized access and fire typically Being at the forefront of any list of potential threats.